We can't decide which iconic Volkswagen ride we'd rather take for a spin - the Beetle or the VW Campervan! 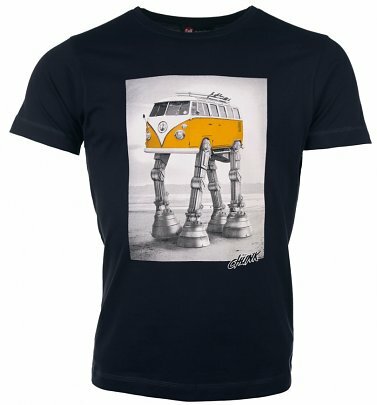 Luckily, with our totally rad collection of Volkswagen clothing and gifts, there's no need to choose. Who says size is everything? The miniature but marvellous Beetle became super-popular back in 1959, after a landmark advertising campaign that celebrated its cute size, and it's now one of the most iconic and bestselling cars of all time. Our fantastic Volkswagen T-Shirt, Duvet Set and cushion feature this wicked ride in all its glory (we love the eye-catching colours and repeat pattern on the cosy bedding!). And for petrol heads who daydream of life out on the open road, our wheelie-brilliant VM campervan-inspired tee, bedding and cushion are just the ticket - or try some cracking camping accessories like our water bottle and sleeping bag for the perfect accompaniment to trips away.